The classic spy thriller of lethal computer-age intrigue and a maniac's private cold war, featuring the same anonymous narrator and milieu of The IPCRESS File. 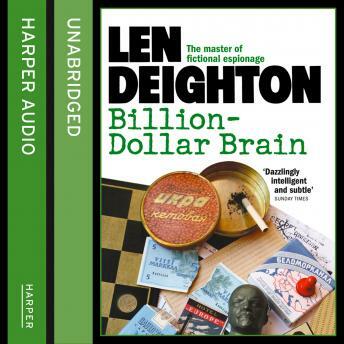 The fourth of Deighton's novels to be narrated by the unnamed employee of WOOC(P) is the thrilling story of an anti-communist espionage network owned by a Texan billionaire, General Midwinter, run from a vast computer complex known as the Brain. After having been recruited by Harvey Newbegin, the narrator travels from the bone-freezing winter of Helsinki, Riga and Leningrad, to the stifling heat of Texas, and soon finds himself tangling with enemies on both sides of the Iron Curtain.